The No Added Sugar Happy Rabbit is sure to bring a smile to the recipient's face this Easter. 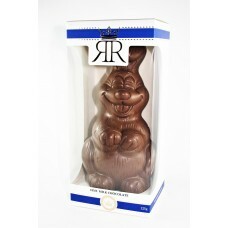 Made from creamy milk chocolate, it's the classic seasonal gift, without the sugar, of course! Presented in an elegant gift box, it's ready to give at a moment's notice. SOLD OUT! 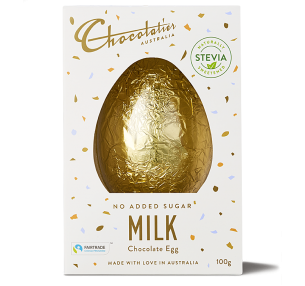 Chocolatier presents a luscious No Added Sugar Milk Chocolate Egg in an elegant gift bo..